The Mandelbrot set is the set of complex numbers ‘c’ for which the sequence (c, c² + c, (c²+c)² + c, ((c²+c)²+c)² + c, (((c²+c)²+c)²+c)² + c, …) does not approach infinity. 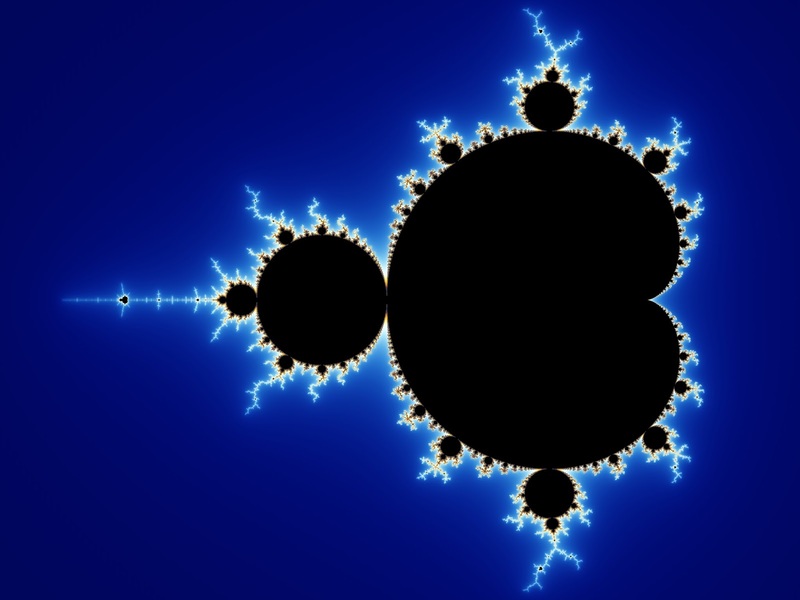 The set is closely related to Julia sets (which include similarly complex shapes) and is named after the mathematician Benoit Mandelbrot, who studied and popularized it. Mandelbrot set images are made by sampling complex numbers and determining for each whether the result tends towards infinity when a particular mathematical operation is iterated on it. Treating the real and imaginary parts of each number as image coordinates, pixels are coloured according to how rapidly the sequence diverges, if at all. Follow that? Me neither. The rest of us simply admire its visual appeal or marvel at its fractal properties and how it is never ending. The point I wanted to make at the conference was that much of our education systems are fractal in nature. Education is delivered recursively, where students are required to reproduce knowledge that is already known. It’s a safe approach to education, and learning can be easily measured. Those that become teachers continue this tradition, teaching their own students the same knowledge, in more or less the same style they were themselves taught. Assessment of learning also has fractal features. Standardised testing is based on reproducing knowledge. Final examination success is premised on the student’s ability to reiterate what has already been taught in lessons. There is no room for exploration or creativity in summative assessment. My point was that when education is conducted in fractal mode, it does not obtain its full potential and students are disadvantaged. I asked my audience to consider the difference between recursive and discursive education approaches. In recursive education, we see reproduction of knowledge, and we see students learning content towards a product – memorising facts and then reproducing them for the examiner. In discursive education, students are allowed to digress from the pathway, investigate new and untravelled pathways, and discover for themselves. Instruction is minimised, learning takes centre stage in the process. This kind of learning can be found in project work, problem based learning and personal research and many other progressive approaches. My question for my audience was this: How can we as educators provide discursive opportunities for our students? What would it take for us to leave the safe and mundane world of product based, recursive education behind and adopt new pedagogies that promote self discovery, digression from prescribed pathways and learning by a process of serendipity? It would be a major risk for many institutions, and there would be some personal cost. But if we don’t try, how will we make any progress? This is an initial foray into this area for me and I would interested in your views on these ideas. As ever, I am open to discussion and revision, because I’m wholly committed to discursive enquiry. Long story short, traditional educators must be more than subject matter experts…they must understand, embrace,implement education reform and research driven, 21st century pedagogy, that is student-centric and deep learning focused. Unfortunately we turn to traditional educators for these advancements and they are stuck in factory based teaching. Some say that we no longer need to know anything. Everything we need to know is at our fingertips on our mobile devices. Just ask Siri. I think this is still an exaggeration, but there will come a time. Meanwhile, I think the emphasis in schools and the workplace has to be on learning how to learn. For example, learning “design thinking” gives learners a structure for creative problem solving.